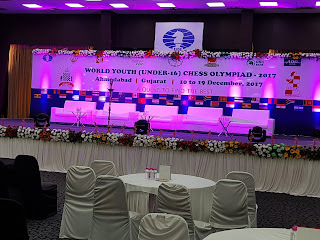 The World Youth U-16 Olympiad is being held in Ahmedabad, India from 10-19 December. 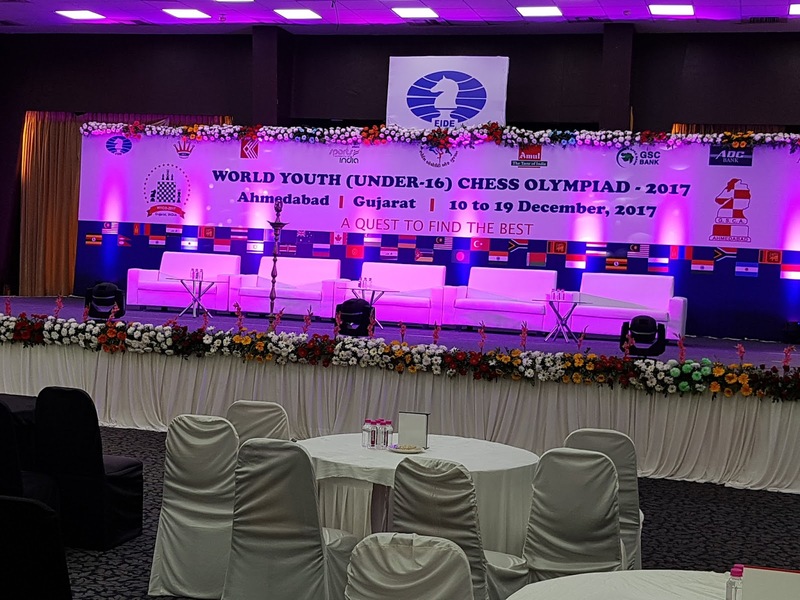 India has pulled out all stops with this prestigious championship, considering it to be the most important international chess team tournament after the World Chess Olympiad. Not only have they put together a dream team of future stars to challenge defending champions Iran who themselves have their own golden generation, but have even surprised their own leadership with quite exceptional organisational excellence. Officials of the All Indian Chess Federation were in full attendence at the opening ceremony and every state had representatives! Gujarat for which Ahmedabad is their state capital is rightly proud of their culture and heritage but it is the warmth of the people and the willingness to go tbe extra mile that has most impressed. Malaysia is this year being represented by easily one of our best teams ever and so are seeded in the top half of the draw. 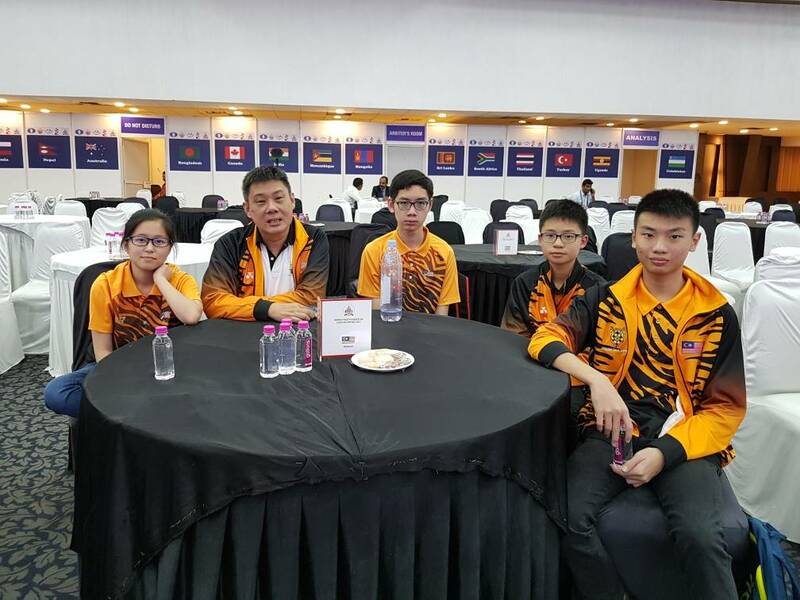 National Champion Wong Yinn Long leads our team with perenial tournament winner Lye Lik Zang on second board, the outstanding junior talent Tan Jun Ying holding down board three, the best local player at the Malaysian Open Ng Jen Sheng taking fourth board, and with team rose Melanie Koo the alternate. The rules require each team include a girl player who must play at least three games. All games from the event will be broadcast live and Malaysians following our team can expect daily reports on this blog and the usual colour on my public FaceBook page.